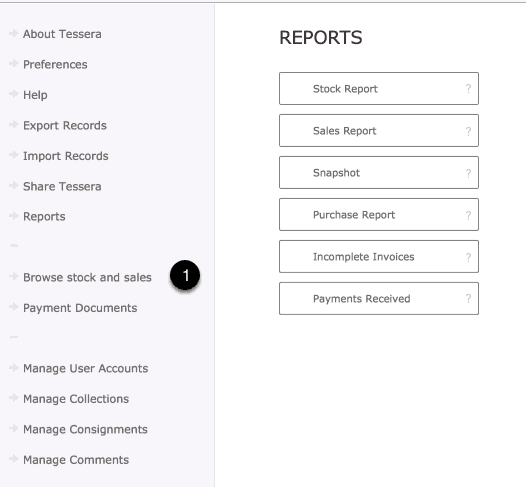 Print a basic report but use the dedicated Stock or Sales Report screens for more detailed results. Select an individual artist to reveal individual artist details (Once reviewing an individual artist’s works select an individual artwork to review details). On this screen you can review details of the stock and sales for the selected artwork.